Gemalto CEO: Google Wallet 2.0 Won’t Hurt TSM Business | NFC Times – Near Field Communication and all contactless technology. Users of the new Google Wallet can link their credit and debit cards in the cloud to a virtual card stored on a secure element in an NFC phone, a concept at odds with the business models of telcos and TSMs. Piou, answering questions from financial analysts Thursday, following release of Gemalto’s first half results, noted that banks will need to provide for all of their customers wanting to pay with their mobile phones, not just those with phones supporting Google Wallet. 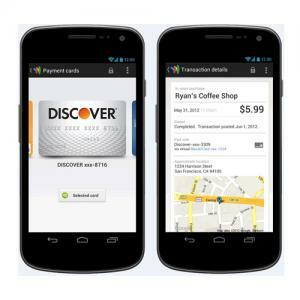 And he added that Google still supports NFC with its revamped, cloud-based wallet. Gemalto has placed a big bet on selling TSM services to mobile operators, along with banks and other service providers, as a part of its drive to earn more revenue from software and services and to expand from its core business selling SIM and other smart cards, as well as card personalization. The France-based vendor is the largest smart card supplier worldwide.